Dentures are common among those in their golden years. They function like natural teeth although at lesser strength. Still, these restorative devices have helped bring back smiles to many people. Unfortunately, dentures can be damaged. Cracks can appear or dentures can be broken. This can happen to any denture wearer, anywhere, anytime. And what an inconvenience it is! 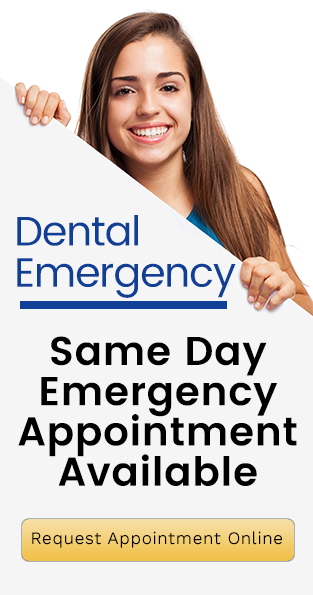 That’s why at Forster Dental Centre, we have same day emergency appointments to attend to your emergencies including broken dentures. We want you to be back to smiling and your regular schedule as soon as possible. 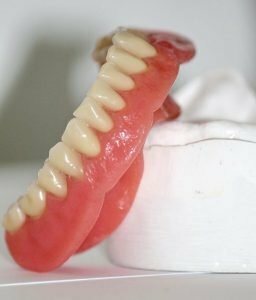 Years of denture wearing mean years of daily chewing, grinding, biting, and other functions of the teeth that your dentures perform. Over time the dentures are weakened until they reach their breaking point. Your teeth are not indestructible and neither are your dentures. Their strength is less than that of natural teeth so you have to take extra care with them. Eating hard, sharp, sticky foods can cause cracks and even break your dentures. Dentures can accidentally fall when you remove them from your mouth. However, it is necessary to remove them for proper cleaning of your dentures and mouth. They can also fall out if they are not perfectly fitted in the mouth. This can be caused either by poor dental work or by progressive bone loss. If you observe cracks on your dentures while cleaning them, the best thing to do is schedule an appointment with your dentist right away. Do not be tempted to fix the damage yourself by buying denture repair kits in drug stores. This can cause further damage, which will make it more difficult for your dentist to fix.